Our range of production wafer probers offers rapid probing with a choice of semi-automatic, fully automatic and double-sided wafer probing platforms. 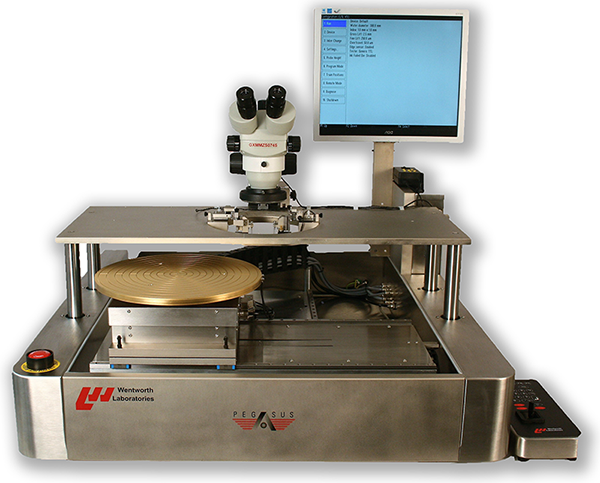 They are ideally suited for characterization of wafer sizes from 2” to 12″ (up to 300mm), for full or partial wafers. 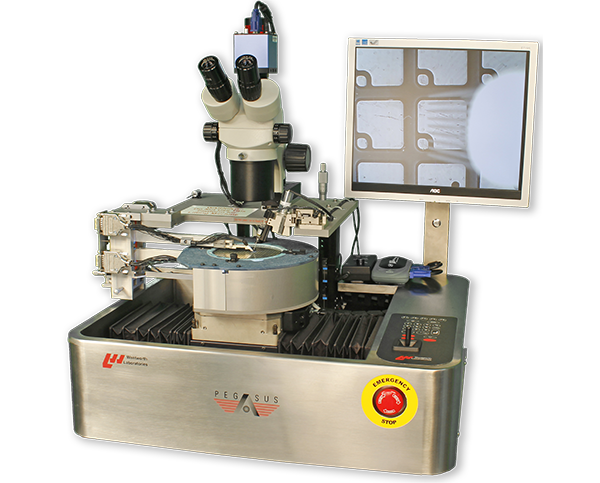 All Wentworth’s production wafer probers utilize our Pegasus™ controller architecture which provides a robust and reliable production platform. All stages are controlled by Pegasus™ consisting of the drive electronics, joystick, keypad and optional Windows user interface. Interfacing is easy with TTL, GPIB (IEEE488.2) and RS232 ports located on the back panel. Boasting a full range of accessories including manipulators, enclosures, antivibration tables, prober control software, chucks, optics and lasers means that each prober can be fully customized for your specific application.